Please select an option Twin / twin xl Full / queen King / california king Please select a size. 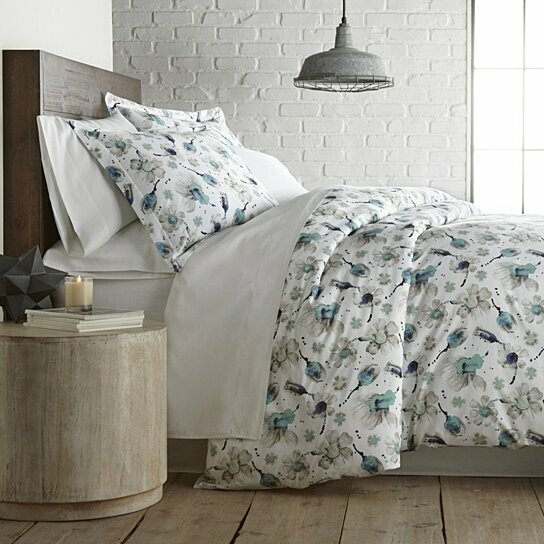 This beautiful floral print will forevermore become your favorite duvet cover and sham set. Nothing is better than draping yourself in luxurious 100% cotton sateen. You can expect nothing less than an upsacle quality with insert corner ties and a beautiful button enclosure. Crisp and cool to the touch coupled with this charming design falling into a dreamy induced sleep has never been easier.